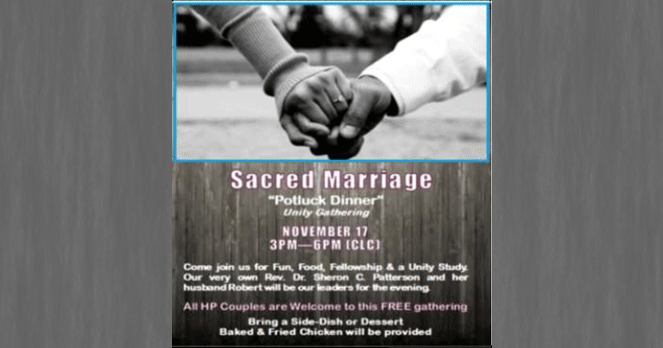 Come join us for fun, food, fellowship, and a unity study. Our very own Rev. Dr. Sheron C. Patterson and her hubsand Robert will be our leaders for the evening. All HP Couples are welcome to this FREE gathering! Bring a side-dish or dessert. Baked and Fried Chicken will be provided.